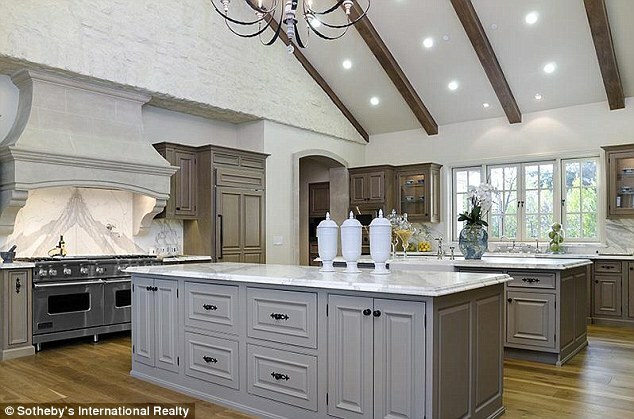 Inside the $20m Kardashian kastle: Mrs West reveals she 'can't wait' to move out of mom's compound and into her new lavish home with his and hers closets Archi-new - Free Dwg file Blocks Cad autocad architecture. Archi-new 3D Dwg - Free Dwg file Blocks Cad autocad architecture. 'We just found a new, amazing place,' the 33-year-old reality star announced to People on Wednesday. The 16,000-square-foot, eight-bedroom estate sits on 3.5 acres within a gated community and it's currently in escrow set to close at the end of August. The couple known as 'Kimye' can now follow in Brangelina's famous footsteps and create their own wine since the home is equipped with its own vineyard. The 21-time Grammy winner and his Bound 2 video vixen have been stuck in her momager Kris Jenner's home since their 14-month-old daughter North was born. But the good news is their new pad is located near the 58-year-old matriarch's gated community. Jenner had a tough 2013, which included the end of her 22-year marriage to Olympian Bruce and the cancellation of her Fox daytime talk show. Kim and Kanye's long swimming pool and jacuzzi are lined with fountain streams and the poolhouse is larger than the average family home.